For the first time in the history of the Archdiocese of Baltimore, the Holy Father, His Holiness Pope John Paul II, celebrated Mass in the Archdiocese at Oriole Park at Camden Yards and visited both the Cathedral of Mary Our Queen and the Basilica of the National Shrine of the Assumption. 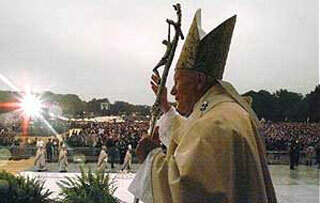 Tickets were scarce for seats for the Mass at Oriole Park in Camden Yards by His Holiness Pope John Paul II. It was a 2 hour long historic celebration. Witness and experience His Holiness' charisma in the charming surroundings of Oriole Park in Baltimore, Maryland. He spoke slowly, sat often and moved with the careful step of an aging man. But he lifted the Host and made the Sign of the Cross with the fluid practiced gestures of a parish priest, and there was strength yet in the deep voice and the proud shy assessing eyes. Many spoke of being in his presence as a once-in-a-lifetime opportunity, not least because some thought he might not return. 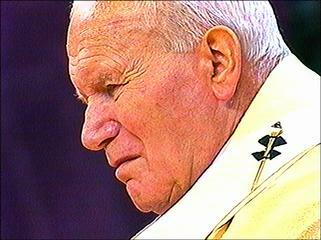 Pope John Paul II has a unique place in history as the first non-Italian to be elected Pope in 455 years. 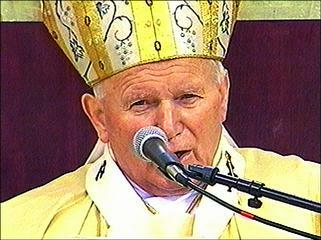 When his peers elected him in 1978, at 58, he was the youngest Pope in 130 years. Sit back and enjoy this momentous occasion in the comfort of your home.